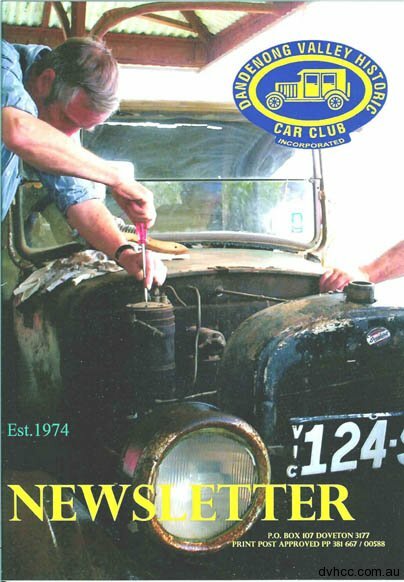 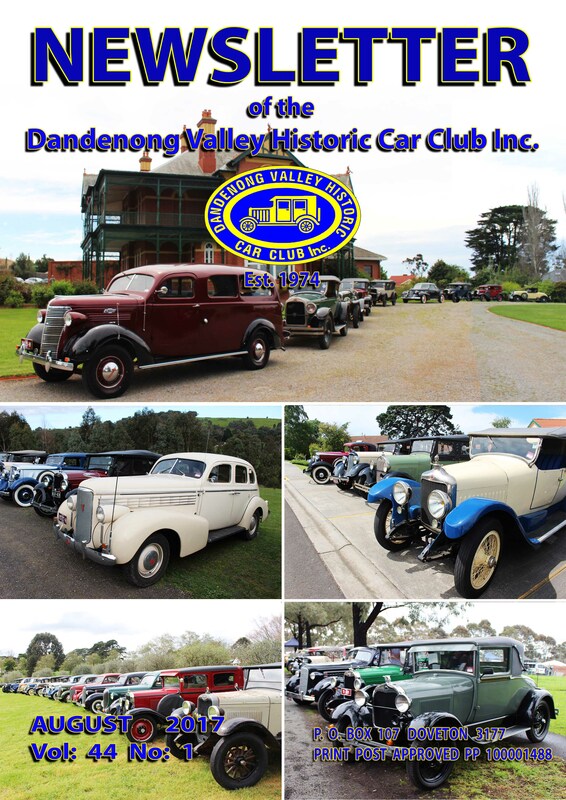 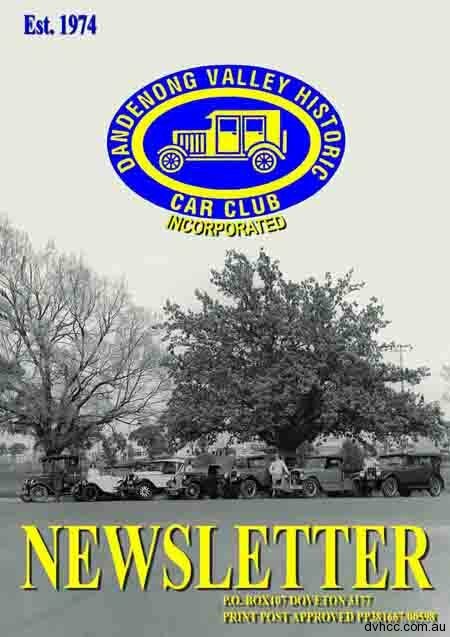 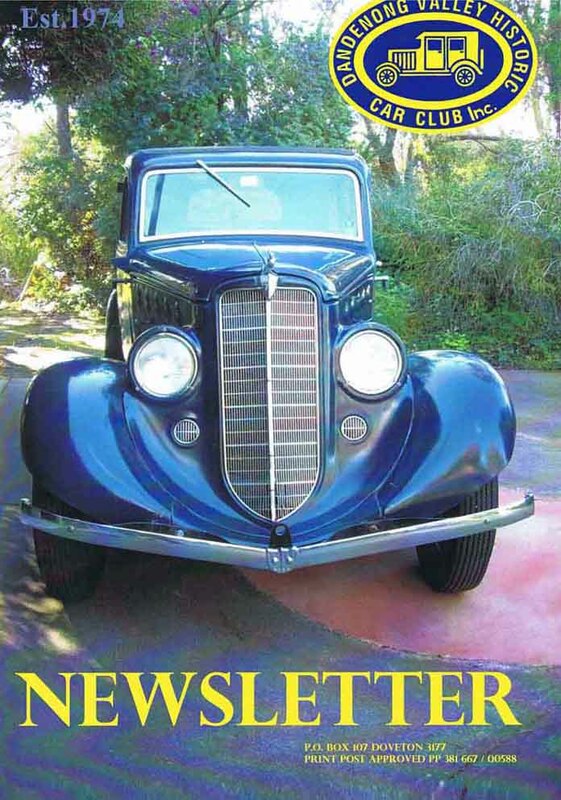 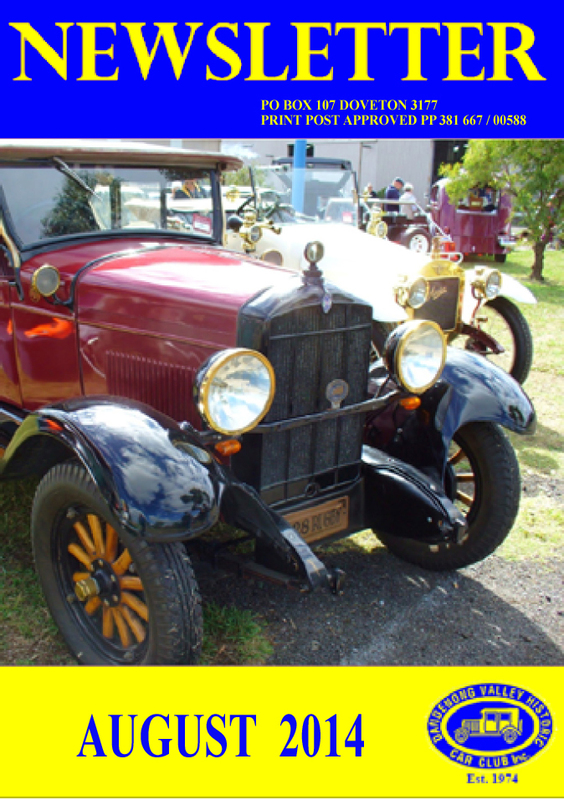 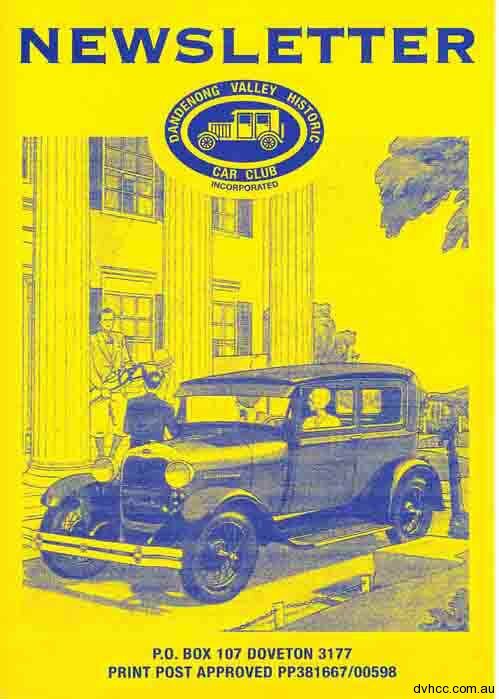 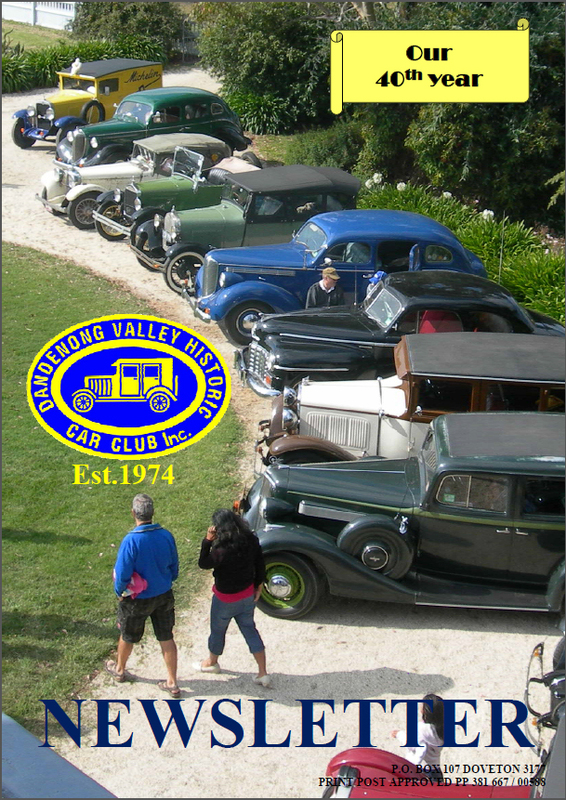 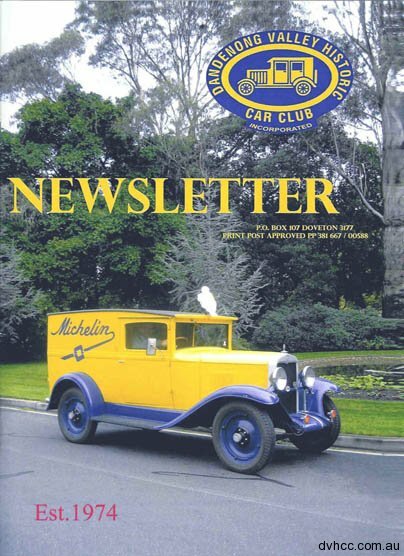 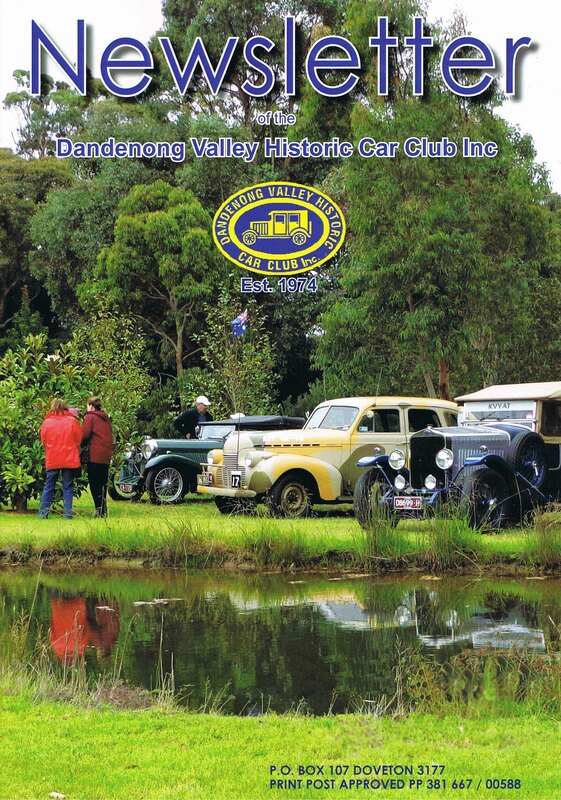 The Dandenong Valley Historic Car Club Inc. publishes a monthly Newsletter to inform members of coming events and general meetings. 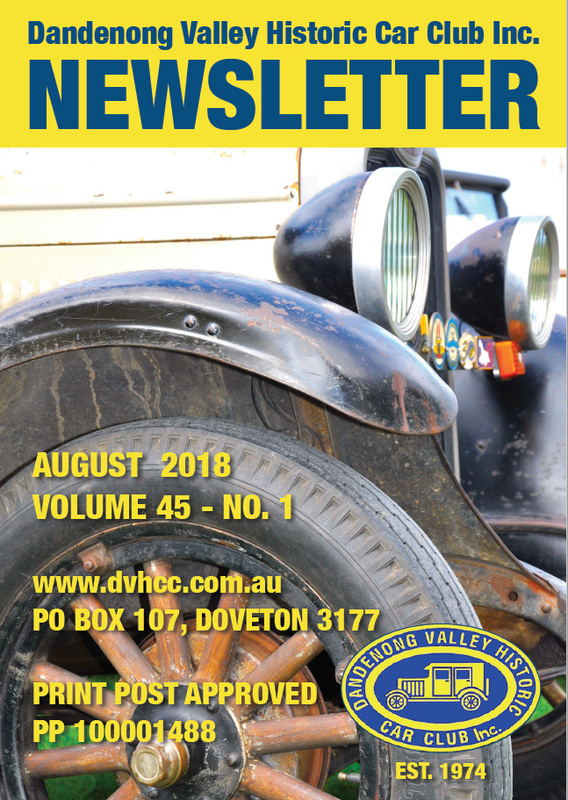 The Newsletter is compiled on computer and printed at a professional printer company. 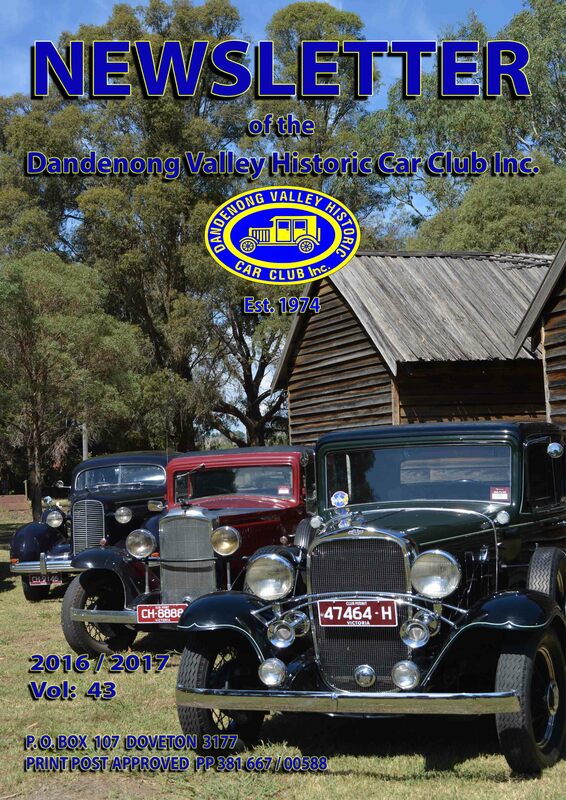 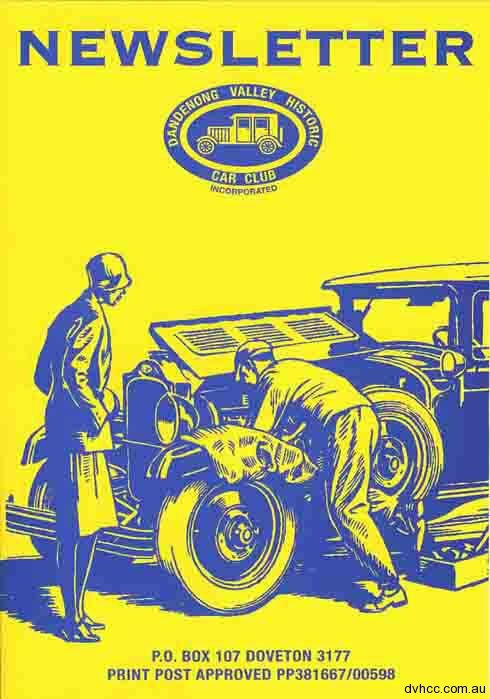 Regular features include the Club calendar, President’s Report, Editorial, Past Events report and the minutes of the previous general meeting and a For Sale section. 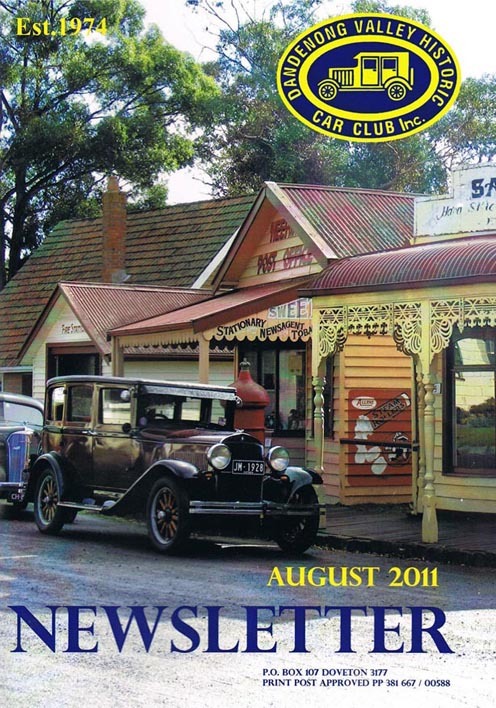 The Front Cover changes annually by way of a Front Cover competition. 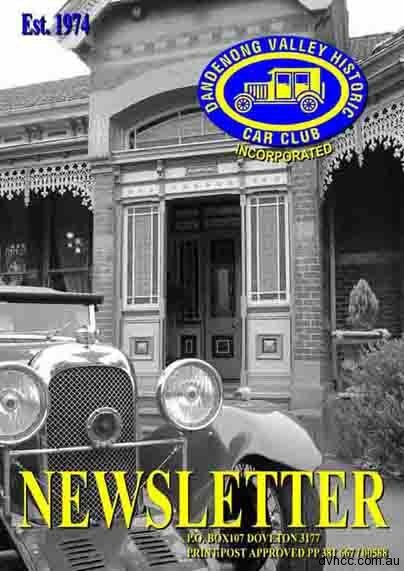 Members are invited to submit a suitable design which is voted by the members as being the next Newsletter cover for the coming Club year. 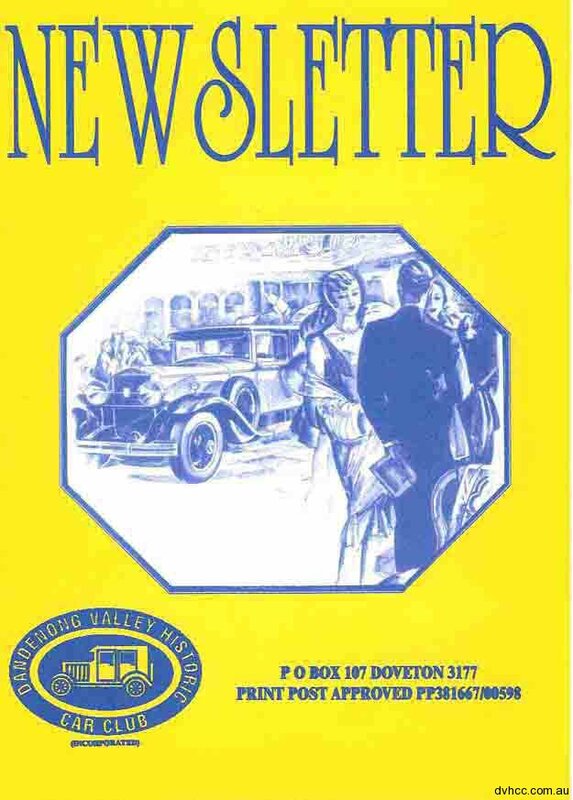 Past Newsletters. 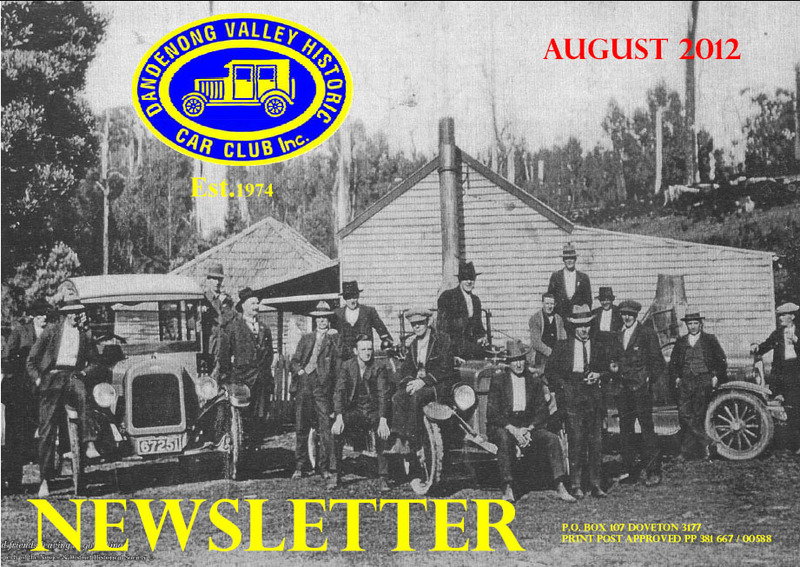 Click on the month below to open our Newsletter in PDF.